There is a mythical idea quite popular in the healing professions which Carl Jung coined the 'wounded healer phenomenon': "a good half of every treatment that probes at all deeply consists in the doctor's examining himself... it is his own hurt that gives a measure of his power to heal. This, and nothing else, is the meaning of the Greek Myth of the wounded physician." As with many of those who walk this path, I came to this work in an effort to heal myself. Illness, especially those experiences that are chronic, can be deeply alienating. It is in these dark places that we finally begin to know who we truly are. I have been on both sides of the healing experience. With diagnoses of Psoriasis and IBS, Anxiety and Depression, and suspected Crohn's and Celiac, my teenage years were challenging. There was a time when I was covered almost head to toe in disfiguring skin plaques, where I was awoken before sunrise by a desperate need to purge, or days spent in university laying on the floor staring up at the ceiling, immobilized by my perceived unworthiness. Through diet, herbal medicine, lifestyle adaptations, exercise, and spiritual practice, I have overcome many of these ailments. While I have been able to maintain much of this healing, remission is not something I am immune to, and I still experience symptoms when times get especially tough. The difference is the baseline of health that I return to now. Having tried 'everything', Ayurveda was the system that taught me the most about maintenance and prevention. With the tools of Ayurvedic medicine and occult practices like the Tarot, I have learned to see patterns in my body-mind complex. If I can't anticipate a change, I now have the means to relieve it when it manifests. This means always having a handle on the why and how --- even when things like time and craving get the better of me. It is my calling to share this old wisdom with you, but not without a caveat: it's ok if it takes a lifetime. I can help you see your incredible potential and guide you into it, but you need to know it doesn't happen overnight. For some weeks, months, years --- it can seem like you lost it. But you can always come back. Again and again. Little by little. I'll be here to help you take the next step: you just need to show up. “Your soul knows the geography of your destiny. Your soul alone has the map of your future, therefore you can trust this indirect, oblique side of yourself. If you do, it will take you where you need to go, but more important it will teach you a kindness of rhythm in your journey." Ally Gobi apprenticed under esteemed Ayurvedic Doctor Alakananda Ma in the Alandi Ayurveda Gurukula in Boulder, CO from 2015-2017. In May 2018, she graduated from Philadelphia School of Massage & Bodywork's massage therapy program. 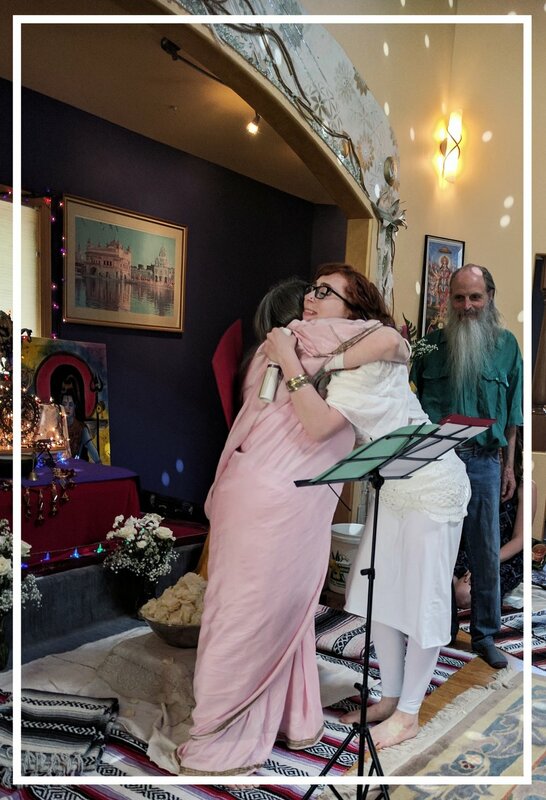 She also holds certifications in Sivananda Yoga, Tarot, as well as many short courses in energy healing, nutrition, and other bodywork modalities. She studied Western Philosophy, English Literature, Music, and Religious Studies as an undergraduate student from 2004-2009 wherein the deeper contemplations of living a meaningful life guided her head-long into the study of old medicine. Something feel right? Take it home with you. Only subscribers get monthly updates with our latest promotions and coveted innermost musings! Yes! Thanks for trusting me with your inbox. I'll see you soon. Old Wisdom Arts is a private holistic wellness practice available by appointment only. Good Karma Yoga & Barre Studio, 2nd Floor, 55 State Rd., Media, PA. Appointments are available in person and online. If you book in Philadelphia, it is a home office and we'll send you everything you need to know upon booking. You should know that everyone is safe here. Come, be you, be served with love.